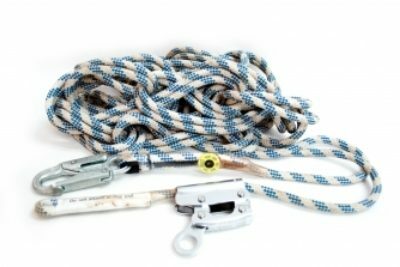 The rope grab utilised in the system is designed to be a static rope grab that is connected to your harness via a lanyard. By squeezing the rope adjuster forward, the worker can slide the device along the lifeline until he or she has reached their work position (working slack should never be greater than 2 metres as per the Australian standard). Release the rope adjuster and it locks onto the lifeline providing fall protection to the worker attached.